A contemporary paint-every-day watercolor guide that explores foundational strokes and patterns and then builds new skills upon the foundations over the course of 30 days to create finished pieces. 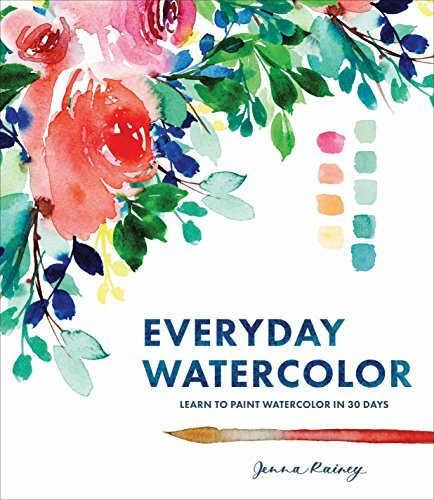 This beautifully illustrated and inspiring guided watercolor-a-day book is perfect for beginning watercolor artists, artists who want to improve their watercolor skills, and visual creatives. From strokes to shapes, this book covers the basics and helps painters gain confidence in themselves along with inspiration to develop their own style over the course of 30 days. Featuring colorful contemporary art from Mon Voir design agency founder and Instagram trendsetter Jenna Rainey, this book's fresh perspective paints watercolor in a whole new light. No-mess painting for kids! 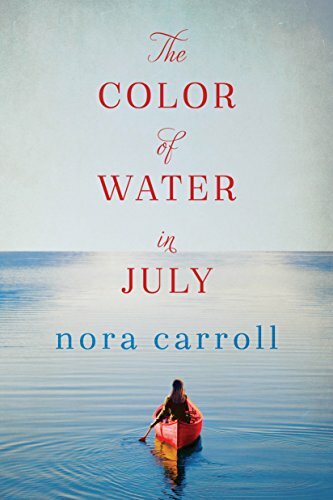 Each book in this exciting paint-with-water coloring book set includes four reusable pages and a refillable water pen. Simply use the pen to color in each scene--details and vibrant color appear with every stroke! Then let the page dry to erase the pictures and color it in again and again. 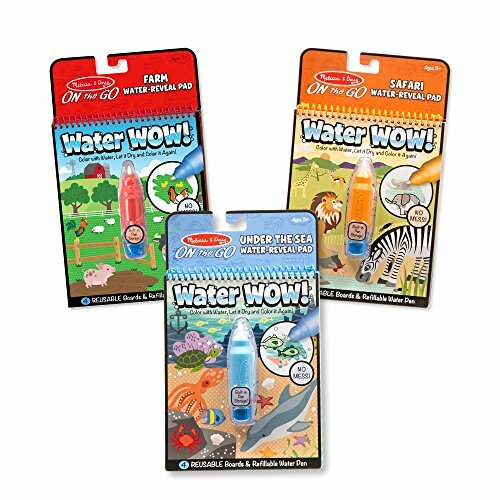 The chunky-sized water pen is easy for kids to hold and stores neatly right in the front cover, making Water Wow! an ideal travel activity book and travel toy for kids. There are three individual activity books. The first is a fairy tale-themed book, followed by a makeup activity book, and finally an animal-themed reusable water reveal pad. 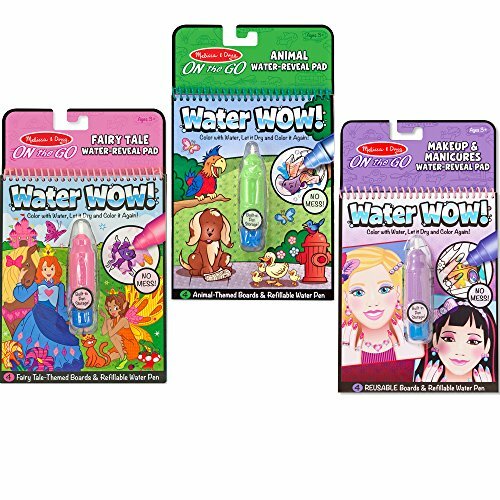 The Melissa & Doug On-the-Go Water Wow! 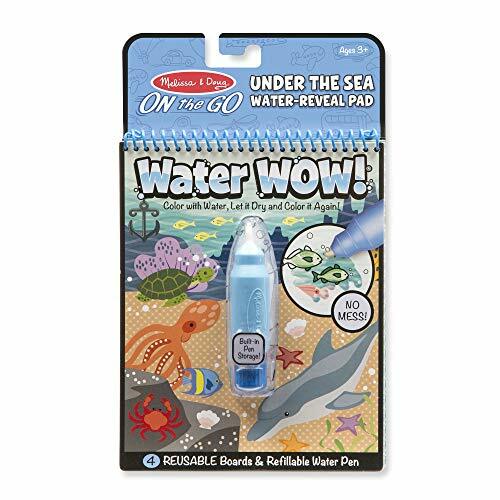 Reusable Water Reveal Activity Pads are a delightful and educational gift for kids 3 to 6 years. Add a Melissa & Doug Reusable Sticker Pad to round out the hands-on and screen-free play experience. For more than 30 years, Melissa & Doug has created beautifully-designed imagination- and creativity-sparking products that NBC News called “the gold standard in early childhood play.” We design every toy to the highest-quality standards, and to nurture minds and hearts. If your child is not inspired, give us a call and we'll make it right. Our phone number is on every product! No-mess painting for kids! 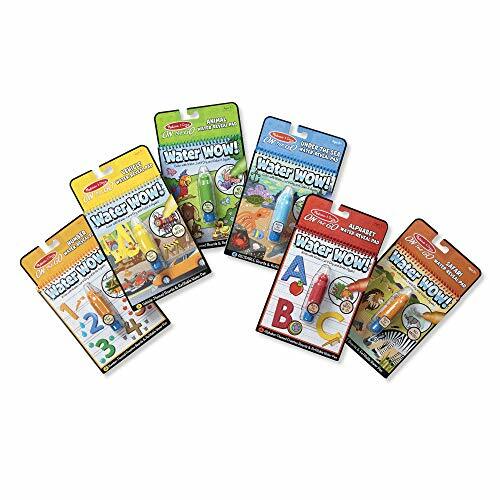 these exciting paint-with-water coloring pads include four reusable pages and a refillable water pen in each. Simply use the pen to color in each scene—details and vibrant color appear with every stroke! 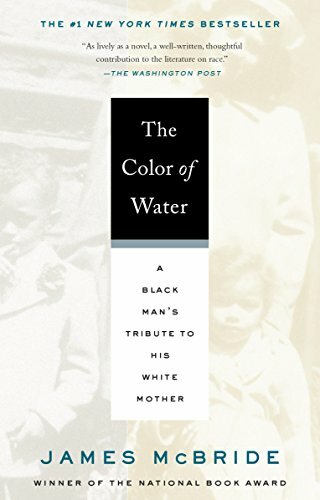 then let the page dry to erase the pictures and color it in again and again. Themed pads include farm, safari, adventure, colors and shapes, wacky animals flip pad, and under the sea. 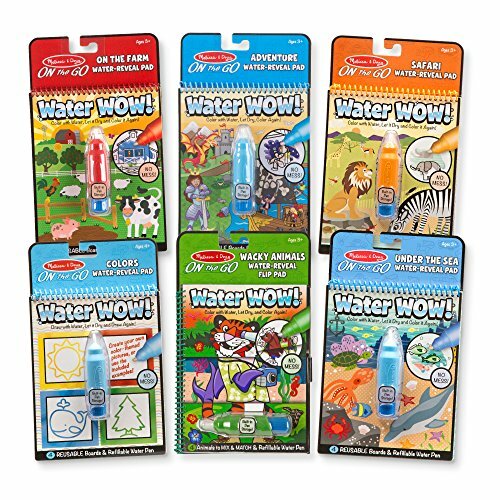 The chunky-sized water pen is easy for kids to hold and stores neatly right in the front cover, making these water wow! pads ideal travel activities for kids three and older! This exciting activity book pad 6-pack includes these themes: Alphabet, Numbers, Safari, Vehicles, Animals, and Under the Sea. Use the refillable water pen to fill in each activity, and see hidden colors and pictures appear with every stroke! Then simply let the page dry to erase the pictures so you can fill it in again and again. The chunky-sized water pen is easy for kids to hold and stores neatly right in the front cover. This Melissa & Doug activity pad set promotes fine motor skills, letter recognition, and writing skills. The compact, spiral-bound format, makes these activity pads a simple and convenient option for when kids are on the go. This Melissa & Doug activity book set is an exceptional gift for kids ages 3 to 5 years. Add the Melissa & Doug Scratch Art Color Reveal Activity to round out the creative play experience and give kids an engaging option for screen-free fun. For more than 30 years, Melissa & Doug has created beautifully designed imagination- and creativity-sparking products that NBC News called “the gold standard in early childhood play.” We design every toy to the highest quality standards, and to nurture minds and hearts. If your child is not inspired, give us a call and we'll make it right. Our phone number is on every product!